For IT News Week 3 of Jul 2018. Hitachi Vantara, a wholly owned subsidiary of Hitachi, Ltd. (TSE: 6501), today announced it has been recognized as a Leader in the Gartner Magic Quadrant for Solid-State Arrays for a second consecutive year. Hitachi Vantara was evaluated for its completeness of vision and ability to execute. Gartner’s 2018 evaluation of Hitachi Vantara included earlier generations of Hitachi VSP arrays: VSP F400, VSP F600, VSP F800, and the VSP F1500. Boost, Malaysia’s homegrown e-wallet app, announced today its partnership with global payment brand UnionPay to grow its footprint in Malaysia and overseas. As part of the partnership, our long term plans are to enable users to use the app to leverage on UnionPay’s offerings to transact globally and likewise, for tourists to transact in Malaysia. On top of that, Boost and UnionPay will be jointly ramping up its marketing efforts in order to promote our services and further quicken our education and expansion plans. Kaspersky Lab just introduces Kaspersky Security Cloud, aims to protect connected lifestyle with adaptive security. The brand knows how the users are connected online at all time, using different internet services etc, without knowing how their privacy have been compromised. Kaspersky Security Cloud operates according to the unique security-as-a-service scheme. It is "attached" not to the device, but to its owner via their account on the My Kaspersky portal. In addition, the service is available on both an annual and monthly* subscription basis. However, the uniqueness of the solution lies in the fact that, with the appropriate settings, the product behaves like an "adviser" that promptly tells you what to do in order to maintain a connection when it is most needed, or to avoid jeopardizing your personal data when such a risk occurs. Financial Services Information Sharing Analysis Center (FS-ISAC), announced the recipients of the Building Cybersecurity Diversity (BCD) scholarship in Singapore at the annual FS-ISAC Asia Pacific Summit. According to Frost & Sullivan’s 2017 Global Information Security Workforce study, women are underrepresented in the global cybersecurity workforce at a mere 11 percent compared to their male counterparts. In Asia Pacific, women make up only 10 percent of the cybersecurity workforce. 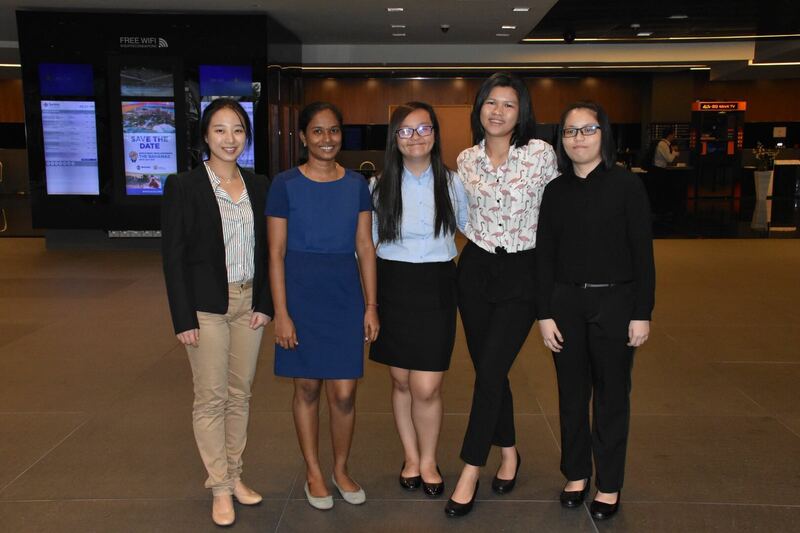 The scholarship was started by FS-ISAC in 2016 to bridge the diversity gap by helping women interested in cybersecurity kickstart their careers. This is the first year the BCD scholarship is being offered in Asia Pacific. 1.5 million patients’ non-medical personal data were stolen, including those of Singapore’s Prime Minister Lee Hsien Loong. Singapore’s biggest cyberattack on the Singhealth system made headlines on Friday, sparking controversy as the breach was deemed as a well-planned target and possibly a state-sponsored attack. To push leading-edge performance, lower power consumption and extended durability for PC gaming systems, Western Digital Corporation (NASDAQ: WDC) today introduced a high-performance Western Digital® Black 3D NVMe™ SSD featuring the company’s own SSD architecture and controller. The drive accelerates data for PC applications to enable users to quickly, access, engage and capture today’s high-resolution video, audio and gaming content. The drives feature up to 500,000 random-read IOPs (for 1TB model) to deliver extreme throughput, which is ideal for multi-threaded applications and data-intensive multitasking environments. The drive offers a five-year limited warranty with up to 600TBW endurance (for 1TB model). The Western Digital Black 3D NVMe SSD is available in Malaysia in capacities of 250GB (RM 449.00), 500GB (RM 799.00) and 1TB (RM1,599.00). Bosch, a leading global supplier of technology and services, has ended its 2017 fiscal year in Malaysia with total net sales of RM5.2 billion, registering a growth of close to 8% from the previous year. Consolidated sales amounted to RM615 million, keeping Malaysia as the second largest revenue contributor for Bosch in Southeast Asia for the third consecutive year with its stable year-on-year performance. In the past year, Bosch has increased capital expenditures in Malaysia by nearly 50 percent and invested around RM 236 million (49 million euros) largely equipping the company’s manufacturing sites with Bosch’s Industry 4.0 solutions. It has also expanded into connected manufacturing and service offerings based on the Internet of Things (IoT) that will help address current challenges and improve business growth. 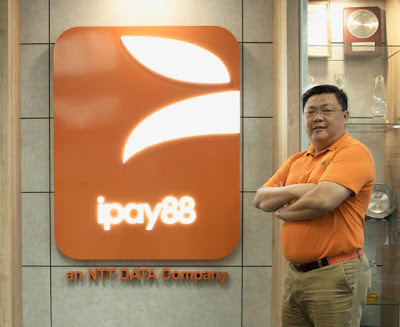 iPay88 Holding Sdn Bhd (formerly “iPay88 Sdn Bhd”) (iPay88), an NTT Data company and a leading Malaysian-based provider of online payment solutions in ASEAN, today shares its aspirations towards its ‘Payment Dream’ – and riding on the IoT trend today, the dream could become reality as early as 2023. Executive Director of iPay88, Chan Kok Long describes this ‘Payment Dream’ as a situation whereby people can purchase products and services without having to make any ‘action of payment’, at all. Chan says, “Imagine walking right in and right out of a mall – where you watched a movie, got your hair done, had lunch, ordered a new TV set and completed your groceries; all without having to carry any cash or credit cards, or even stop at any cashier counter to verify payment.